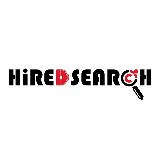 In Hiredsearch, the candidates we recruit are people we trust to work with hence we trust them to deliver results for you. We are committed to understanding the unique needs and culture of your company to find the ideal fit. We place talents in all fields that help you achieve success. Hiredsearch will save you and your team time while minimizing the loss of production workflow. We want our partners and clients to have a peace-of-mind when they acquire new talents. It is about the people – they make up the organisation. We love what we do and we want to help you achieve your goals too. With a combination of strength in our skill sets and experience in the recruitment field for more than a decade, we have track records of delivered results for brands across SMEs and MNCs in the areas of executive search, mass hiring and foreign language speakers search. We specialize in a broad range of Junior Level to Senior Management Level Placements in various markets.